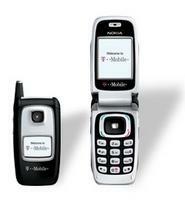 T-Mobile USA has launched the Nokia 6103, an updated version of the popular 6101. Features of the 6101 are nearly identical to the 6101 with the addition of Bluetooth. T-Mobile is selling the Nokia 6103 for $69.99 after $100 in instant savings and a one year service agreement.